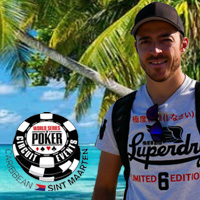 EP01 - Caribbean Poker Tour organizer Leone Groenewoude looks forward to the CPT Punta Cana poker tournament. EP02 - Five online satellite tournament winners get settled at the Hard Rock Hotel in Punta Cana, Dominican Republic and look forward to the CPT Punta Cana Main Event beginning that night. EP03 - Online satellite tournament winners prepare to play the Main Event at the CPT Punta Cana 2015. EP04 - Steve Loney, an online satellite tournament champion who won his way to the Caribbean, takes a break during Day 2 of the CPT Punta Cana Main Event at the poker tournament in the Dominican Republic. EP05 - Daniel Montagnolli, who won his way to the Caribbean in online satellite tournaments, talks about the CPT Punta Cana poker tournament on the day of the Final Table.